We provide the most efficient and economical options to fit your new commercial roofing needs. At some point, all commercial roofs require repair or replacement. We have it covered. No one can top our work! Take a look at some of our projects. 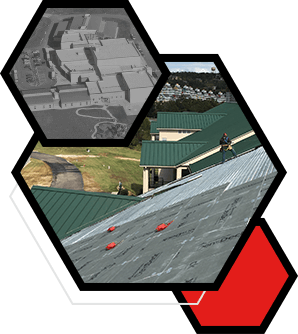 Queen City Roofing, located in Springfield, Missouri, has built a solid reputation in the commercial roofing industry. Since 1930, we’ve had one simple goal: Complete our clients’ projects to their total satisfaction. We refuse to compromise on quality, materials, professionalism or safety. With Queen City Roofing, you can trust our timely service, competitive pricing and decades of expertise. We take great pride in building relationships with our clients—big or small. We understand that each project is unique, and we are determined to find the best option and approach to suit your individual needs. 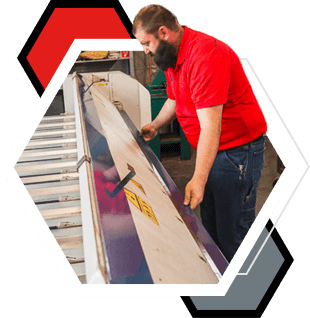 From design to fabrication to installation to maintenance, our team can handle your sheet metal needs. Any grade, gauge or material you want.